Have you ever struggled to find the perfect “edge” for a party you’re hosting? You don’t want to serve the same boring dinner you served last time, and you don’t want your guests to be underwhelmed with your entertainment for the evening. I’ve been here more times than I count. For my first housewarming party, I opted for a s’mores bar. For the next family party at the house, we did a taco bar. Family Christmas at my place? We had an Italian buffet. I’m always trying to spice it up and maintain my title of “Hostess with the Mostest,” so when I dreamed up the idea of a Make Your Own Pizza Bar, I knew I was on to something. This activity is tons of fun for all ages – from the littlest kitchen helpers to the family patriarch! And honestly, after I went grocery shopping, putting everything together was a breeze! Gather all of your supplies, put a plate at each guest’s spot around the table (or kitchen island!) and set the various ingredients in the middle of the table. We hosted our pizza bar for K’s 9th birthday when she had 3 friends over to play and spend the night. I gave each girl her own color plate (but you could just as easily have each pizza chef write her name on a paper plate edge in sharpie), and after the girls were done prepping their pizzas, I put the colored plates on the counter in the same sequence I put the pizzas in the oven. So the birthday girl’s plate was furthest left on the counter while her pizza cooked in the furthest left position in the oven. Then, when I pulled the pizzas out of the oven, they got placed right back on the same plate that had been used to prep the pizza, and the girls knew exactly whose was whose! We had a smaller party, so ramekins worked perfectly for the toppings, and I used slightly larger bowls for sauce and cheese. Everyone had an absolute BLAST making their own pizzas, they tasted incredible, and I didn’t have to worry about cooking a dish that everyone would enjoy. Which, if you know 8-9 year-old kids is a HUGE win! We’ll definitely be doing this again! Maybe for a fun family night next?! Here are just a few of the favorite pizzas we cooked up to get you thinking about what types of toppings YOU want to buy for your make your own pizza bar! 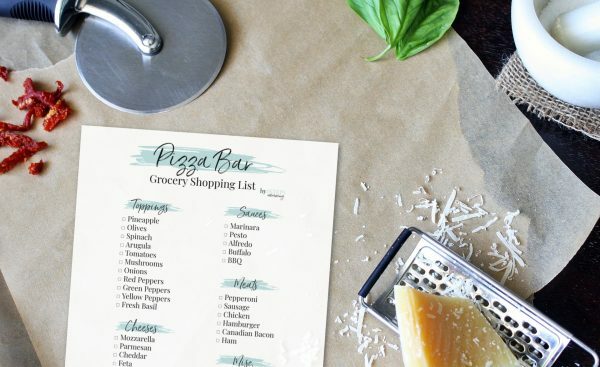 You could even create a cute “Featured Pizza” sign with the suggested ingredients and post it at the party! 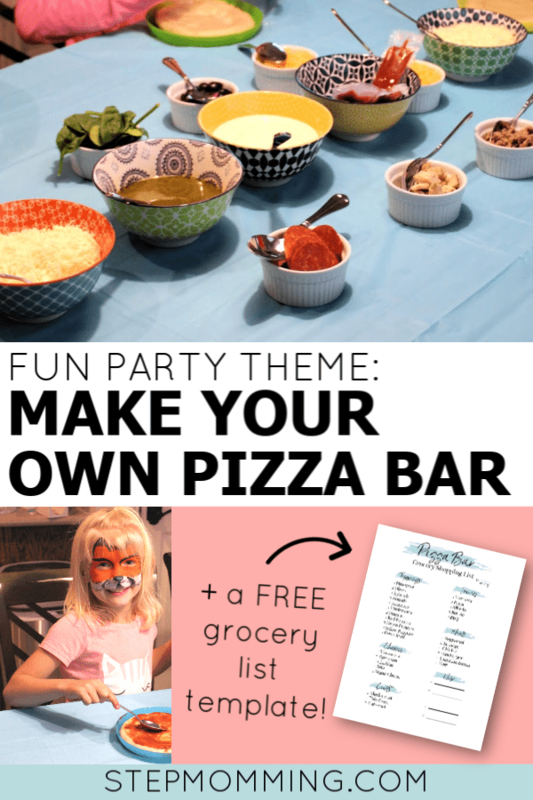 Ready to host a make your own pizza bar but don’t want to risk forgetting anything important at the grocery store? I totally get it! I had to make a couple of trips myself. 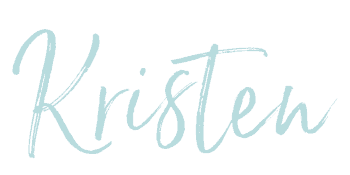 Save yourself the time by downloading this FREE grocery list conveniently sorted by category! We’ve even included extra lines in case there’s something special you want to add. I can’t wait to hear how your party turned out! Let me know in the comments! P.S. I swear by this super easy 2-ingredient party punch!